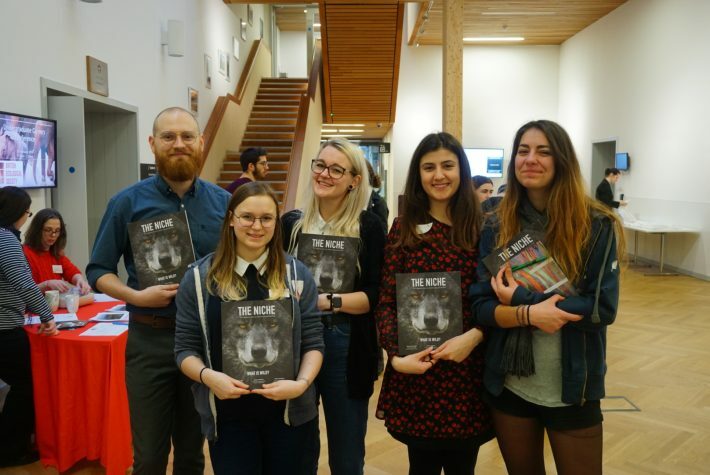 In February, we held our annual Undergraduate Careers Conference. 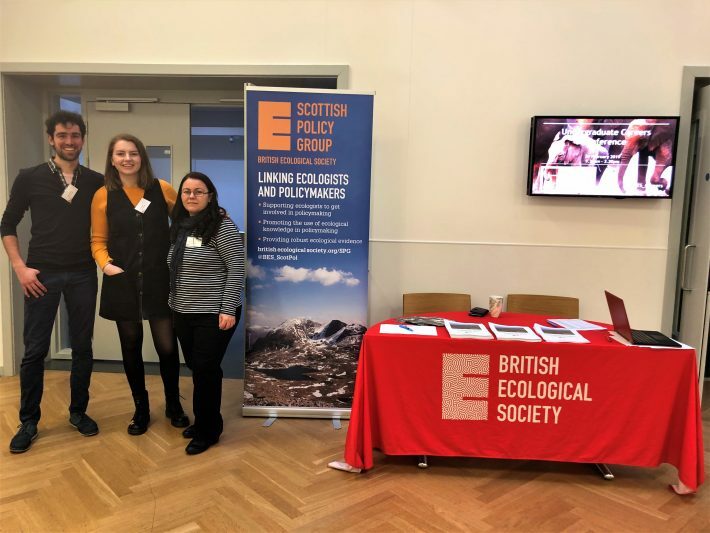 This year, the event - which attracted over 65 students - took place in Edinburgh, in what was our first Careers Conference outside of London. With graduation just around the corner, the question ‘What now?’ pops up frequently and, as students, we find ourselves asking how to make the right choices when it comes to our future career options. The BES Undergraduate Careers Conference came to the rescue, with a diverse range of speakers who were ready to share their honest reflections on their professions. 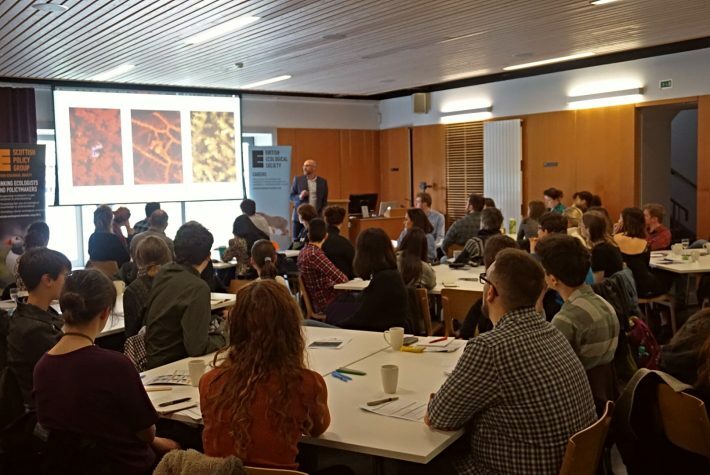 Dr Simon Oliver – senior lecturer in marine ecology at the University of Chester and chair of the conference – kick-started the sold-out event by sharing his unique journey from English literature undergraduate to founder of the Thresher Shark Research and Conservation Project. His story of hard work and passion was inspiring, and demonstrated how far your dedication can take you. Those who were curious about postgraduate options were in for a treat as Amy Sweeney, a PhD student at the University of Edinburgh, gave a detailed overview of different career trajectories. We learnt that it is never too early to start networking, building a work-life balance and developing resilience, to make postgraduate studies a rewarding and enjoyable journey. Find people in jobs you think you might like and email them to ask if they are willing to talk to you about their roles. Amy Sweeny, PhD Student, University of Edinburgh. Dr Francesco Baldini, Research Fellow at the University of Glasgow, told us about his development as a researcher into a career in academia. His passion for research was infectious and his pathway was a great example of how motivation can be a tool to better tackling uncertainties. We were all engaged in how to create a well-written CV and cover letter by Sarah Innes, Careers Consultant from the University of Edinburgh. She shared her tops tips on how to maximise our profiles, as well as highlighting common pitfalls: even the most skilled writer’s CV can miss out on making that great first impression if the proof reading is not up to scratch! Don’t forget voluntary experience: if it is relevant, push it up towards the top of your CV. Sarah Innes, Careers Consultant, University of Edinburgh. After a social lunch we jumped right back into talks with Ashleigh Whiffin, Assistant Curator of Entomology at National Museums Scotland. Here we learned about all the different work you can do in a museum, from giving talks to the public to collaborating on extensive and impressive collections. Sam Fleming was our James Bond of the day as he told us about his work with Carbomap, some of which has involved uncovering illegal deforestation! He also spoke about the variety of jobs in ecology; as he does not work directly with the data but rather the technology itself. Our final talk of the day was from Paul Walton, Head of Habitat and Species at the RSPB. He gave an incredibly uplifting talk on the importance our passion for ecology has in shaping the future. As a powerful take away message, he ended the conference with the reminder that life has been created from a one-time event thus it is of the utmost importance to help conserve all forms of life. After a tiring but informative day, we experienced a bittersweet moment as the event we had been working towards for months came to an end. Nonetheless, the day had been a huge success and we left Edinburgh with big grins on our face! Although we have not been able to mention all the speakers in this brief recap, we want to thank everyone that made this such a valuable day, as well as all the students that attended. Feedback from an attendee of the conference.